Barbara, age 84, passed away peacefully at home, surrounded by family. She was preceded in death by her husband Gary L. Harless Sr.; an infant daughter Aleeta Mae; and brothers Mike, Richard and Harold Stevenson. Barbara is survived by children Karen Sharp, Terry Munsinger (Calvin), Gary Harless Jr. (Barb), Michael Harless (Cyndi), Douglas Harless (Christine) and Wendy Hamblen (Jeff); grandchildren Tyler Sharp, Robert Harless, Brandi Crockett, Kim Macias, Melissa Centamore, Ryan Harless, Jennifer Stevens, Matthew Harless, Angela Morlan, Steven Morlan, Sandra Ellerbruch, Jamie Harless, Jeffrey Hamblen Jr. and Jeremy Hamblen; Barbara has 26 great grandchildren and 8 great-great grandchildren; also survived by brothers and sisters Edward Stevenson, Pat Stevenson, Larry Stevenson, Gladys Marcum, Lorna Preciado and Judy Schuh; and many, many loving nieces and nephews. Barbara moved from Omaha, Nebraska to Castana, Iowa in 1996 when Gary retired from Union Pacific. It was Gary’s dream to retire in the Loess Hills and Barbara supported his dreams. 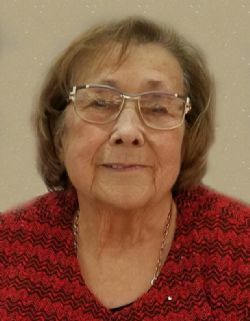 She was an active member of the Onawa Women’s Club and the GFWC Castana Jr. ‘76ers. Barbara loved many things but loved nothing more than her family. Her love for family will be carried on. She was described by a friend as “the epitome of kindness” and this is how she will always be remembered.